A lot of great things come together in Cook County, beginning with two historic highways: The scenic Georgia Grown Highway 27 and the north-south U.S. 41 that intersect in Adel. Other strategic advantages converge here as well, in a deep rooted community with multiple routes to success. Cook County positions your operation for maximum market access at a central Southeast hub on I-75, with I-10 only 55 minutes away, and just 2 hours away three international airports and two global ports. Add to superb logistics (including rail), a work-ready labor force, and leadership focused on prioritizing—and incentivizing—industrial success. Our pro-business attitude is nothing new. Cook County’s flourishing towns and cities sprang up with the advent of rail at the turn of the century. Over the years, as business and industry found fertile ground for growth in Cook County, our agriculture roots remained strong as well, and we sharpened our tools as we grew something else: a bright future for the twenty-first century. That meant an education system second to none. School accountability? That’s nothing new in Cook County, where high school graduation rates are 9% above state averages and college and career readiness rank at the top of a 17-county region. What is new: our school facilities, all built within the last five years, and continued to be staffed with committed professionals of the highest caliber. Cook County is also your entrée to some of Georgia’s most gorgeous scenery, in the shimmering lake and verdant vistas of Reed Bingham State Park, and to a rich menu of recreational opportunities that range from kicking back with boating, skiing, kayaking and hiking to high-octane action at the Georgia Motor Sport Park’s 1/8 and 1/4-mile tracks. With excellent healthcare and a vibrant arts and cultural scene here in the county and across the area, our quality of life is second to none. 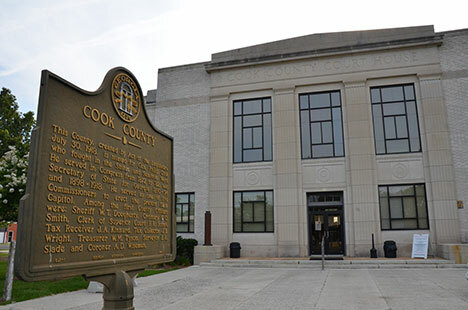 In a fast-growing region, Cook County lets you set your own professional agenda and your own pace in your personal life. We’re the best of Georgia, because we’re Georgia your way.